It doesn’t matter, if you are having a family holiday, some relaxing days in tows or a business trip to Günzburg. The inn is the right place to stay for sure, so you can start the new day after a restful sleep fresh and lively. 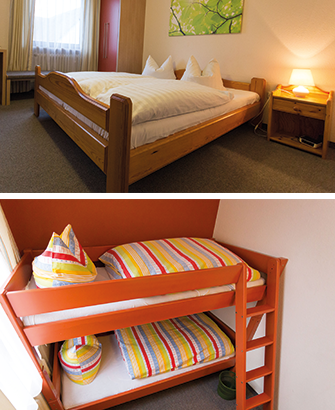 Our 17 rooms are outfitted bright and friendly, with telephones, TVs, showers and toilets. For availability check call us or use our contact form .